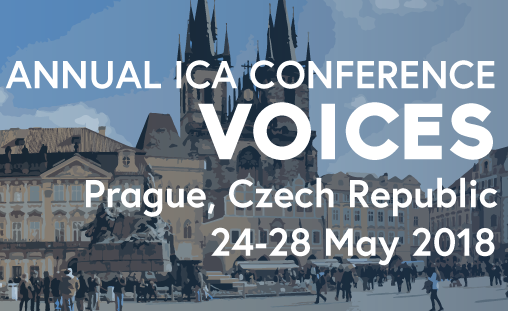 The International Association for Media and Communication Research (IAMCR) will host a panel at the annual conference of the International Communication Association (ICA) in Prague. The panel will focus on the theme of IAMCR's own 2018 conference, Reimagining Sustainability: Communications and Media Research in a Changing World. Meet us on Friday, May 25, 9:30-10:45 at Karlin II, Hilton Prague Hotel, Prague, Czech Republic. Join us in Prague on 25 May and then, from 20-24 June, join us in Oregon for IAMCR's 2018 conference. “Reimagining Sustainability: Communication and Media in a Changing World.” There is an immediate need to promote responsible and sustainable management of natural resources and ecosystems that incorporate local and global reflection and action. This inevitably raises urgent issues of entrenched power, social justice, democracy, and the need to eradicate poverty, raise basic living standards, and address the present climate crisis. This ambition is currently under attack. In spite of overwhelming scientific evidence, climate change denial is used to build public support for unsustainable environmental practices and policies while corporate greenwashing promotes the perception that these practices and policies are in fact environmentally friendly. Encouraged by the rise of populism and ever-smaller media bubbles, intolerance is on the upswing around the world. Inequality is outpacing economic growth. Wealth is ever more concentrated. We find it imperative in these times that we sour understanding of current and emerging models of sustainability, the struggles that surround them, and their multiple relationships with communication and media. The panel will address these intersections by revising and remixing theories, practices and institutions that move beyond merely sustaining — towards thriving societies and cultures.